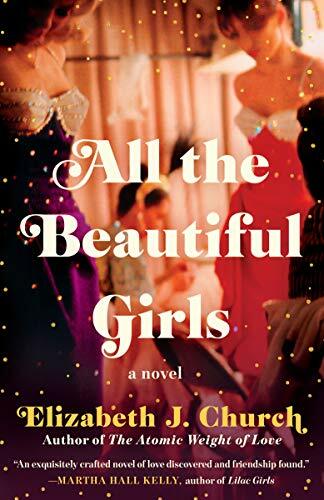 I think I first heard about All the Beautiful Girls by Elizabeth J. Church from the All About Romance review, which was glowing. After a string of lackluster audio listens, I downloaded this from work hoping for the best and found a book that puts the P in Problematic. This will likely be a review where some of you will think I'm making mountains out of mole hills, which leaves me no recourse. Yep, brace yourselves kiddies, it's full steam ahead on Spoiler-Rama-Jama. When Lily Decker is 8-years-old her parents and big sister are killed in a car accident. Lily, asleep in the back seat, survives. She goes to live with her Mom's sister and her husband. Her Aunt Tate is stern and cold, her Uncle Miles is a child molester. It doesn't take him long to start coming into Lily's room at night. Naturally, this doesn't have a positive effect on Lily who starts cutting herself. While none of these scenes are written in what I would classify as a graphic manner, there's enough on the page here to be upsetting. Lily develops a love of dance and thanks to a benefactor begins taking dance lessons in her tiny Kansas town where her beauty stands out in a crowd. Big fish, little pond. This benefactor is a man she calls The Aviator, the guy who was driving the other car involved in the accident that killed her parents and sister. Lily worships this guy for the whole book. Let's recap so far. Lily's parents and sister are killed in an accident, she goes to live with a cold fish aunt and an uncle who molests her and the man who was also part of the same accident gets off scot-free in her mind to the point of hero worship. I'm calling BS on this folks. I'm sorry, I just am. The accident completely and irrevocably changes the trajectory of Lily's life, not for the better, and she never feels one iota of anger at the man who walked away from the accident that left her entire family dead and her at the mercy of a damn child molester. Yeah, no. Do not pass Go, do not collect $200. Anyway, time marches on, Lily graduates high school and heads to Las Vegas to become a dancer - which is when she's met with another cold, hard dose of reality. But a fellow traveler on the same Greyhound bus introduces Lily (now going by the name Ruby Wilde) to his daughter who works at one of the casinos. Eventually, and after much reluctance, Ruby takes her magnificent body and becomes a showgirl. Silver pasties and all. This is Vegas in the mid-to-late 1960s, a fairy tale playground of glitz and glamour far away from Vietnam, smelly hippies and the Civil Rights Movement. This middle portion of the book was actually really interesting, as Lily makes her way up the ranks, meets some of her idols (Sammy Davis Jr.! Tom Jones!) and is well compensated in her work. But then, it all hits a major speed bump with the introduction of an abusive boyfriend. Here's the thing: this book is Very White. Not entirely shocking. Lily/Ruby is from small town Kansas and showgirls in Vegas during this period couldn't exactly be confused with the Rainbow Coalition. So it's a huge slap in the face when the abusive boyfriend turns out to be a Spaniard named Javier, complete with heavy accent and broken English. And of course Ruby is attracted to him immediately because he's SO different from everyone else she's ever known (forgive me, I honestly can't recall if the word "exotic" was used or not) and his accent is a turn on. So, if you're keeping track, there's two brown people in this book. One, is Sammy Davis Jr. - who basically has a walk-on role. The other? A guy who swoops in like a Latin lover and starts abusing our heroine. In Vegas. In a town that is literally floating in mobsters during this era the author decides to import someone brown (I'm sorry, making him European doesn't make this any less appalling) to fill out our villainous role. I found it jarring folks. Really, really jarring. Eventually Javier is dispatched with, Ruby reconnects with The Aviator and then the whole thing descends into idealistic happy sunshine territory. Oh, Javier? Once he's off the page, he's literally off the page. There's no closure there. At all. Well Lily gets closure because The Aviator gives her a psychology book to read and suddenly it all makes so much sense to her (because OF COURSE it does). Insert eyeroll here. But that's it. She reads a book. Whether Javier gets his comeuppance or not is left to be a mystery wrapped in an enigma. Oh, and I'm going to spoil it because I was super worried about this - no, Lily/Ruby never hooks up with The Aviator. Given what has to be an over 20-year age difference, I was super worried about this going into the story. Oddly enough, it turns out that was the least of my worries. Because in the epilogue-like chapter? We find out Lily has entered into a relationship with a nice man named Simon with curly blonde hair who treats her right. Oh, and there was the astronaut she has an affair with in Vegas who treats her well. So the men who treat Lily well in this book? White dudes. The abusive a-hole? The brown guy who speaks broken English. Seriously the more I think about it the more I get annoyed. I'm not going to give this an F. Why? Because other than the narrator reading Javier's character with a horrible accent, I found the audio version engaging and I liked the relationship depicted between Lily/Ruby and her girlfriends. It kept me listening. Which, given my recent string of listening/reads feels like an achievement. But yeah. Problematic. This is really, really problematic. And I'm passing on this,hard. AL: Girl, it is such a hard pass. Yes, the book is Very White - but it wasn't slap in the face jarring for me until villainous Javier shows up and I was like OH NO SHE DIDN'T?!?! In Vegas. In the 1960s. The author decided importing the only POC in the story to serve as villain was necessary when you could literally shake a palm tree and a dozen mobsters and pimps would fall out. Ugh. The more I think about it the more annoyed I get. Good lord. How is it possible that no involved with the production of this book in 2017/2018 noticed this problem? I see readers comment all the time that they don't think about "this stuff" when they read because they only read for fun. Writers, publishers, and editors don't have the same excuse. Especially not when, as you noted, the issue would have been trivially easy to fix. I didn't comment on the thread about the Santino Hassell & Sarah Lyons because I didn't have anything useful to say that wasn't going to end up being a 42 paragraph rant. I do agree about everyone needing to draw their own line and know when to walk away. The problem I'm having is that those lines are making Romanlandia smaller and smaller for me. 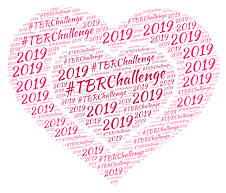 In the last few years I've given up the first romance blog I ever followed faithfully, an entire subgenre that I used to read, but which started to feel creepy to me, and several authors. Romance is my happy reading, so all of that just makes me sad. The larger world routinely makes me say, "WTH is wrong with you people?" I really wish Romanclandia would stop doing the same. Did you guys talk about this book yesterday? I must have still been thinking of my flat tire because this sounds so familiar. It's a hard pass for me as well. Lori: I have to be honest - I probably wouldn't have thought about "this stuff" while reading if not the deliberate choice to make the abusive boyfriend a Spaniard. Then it was a blatant slap in the face that I couldn't unsee! I mean, he sticks out like a sore thumb. Nothing but white dudes, then the lone Spanish guy shows up and he's an abusive a-hole. I'm in the same boat you are. I'm making choices based on my line in the sand, but there don't seem to be new voices stepping in to fill the void. Couple that with bloggers I used to love to follow closing up shop? I'm getting desperate. Rowena: NO! I was raving about The Broken Girls, the new Simone St. James Gothic (review going live on the blog tomorrow!). 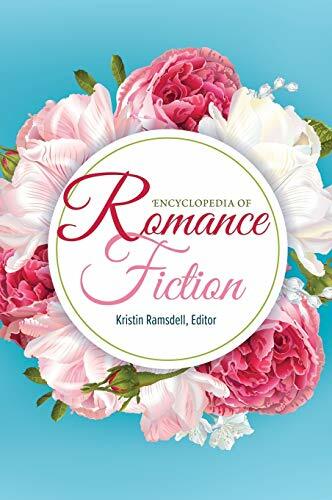 The only place I've seen this book mentioned in Romancelandia (I think?) is over at AAR. But I'm keeping my eye out to see if anyone else does read it because so far? I'm the only one who seems really annoyed by the Javier angle.